Cast Seven Years' War semi-flat 40mm scale Austrian metal fusiliers advancing and march-attack with interchangeable heads. Mould 3105 Austrian Infantry casts. 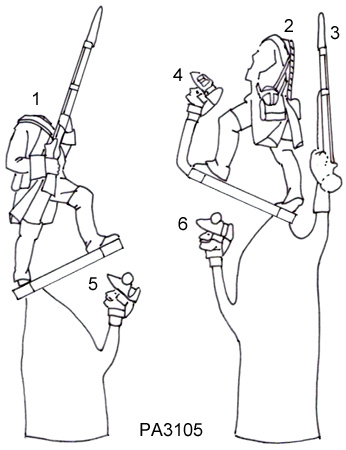 Austrian Infantry 3105 Assembly Guide (pdf). Austrian printable spare flags (pdf). Austrian 3105 Painting Guide (pdf). Click the button below to add the PA3105 Seven Years War Austrian Fusiliers advancing and march-attack 40mm mould. to your wish list.